slaves during that awful era of American history. and racially sensitive campus culture. CCO whose presence was felt as well. It was a joy to be with them. I know some who read this Hearts & Minds bookstore blog and order from us are, in fact, employed in higher education. You know that diversity is a big theme on college campuses. We stock books on various sorts of reforms in higher ed, and we had some at this event. that most BookNotes readers are situated in ordinary churches. need to read about it, for training or inspiration. and demographics about the increasing racial diversity in the US and the continued erosion of white hegemony. double-layered shelves, and tons of titles on offer. I will describa just a few of what we displayed for that gathering. some that are quite practical. 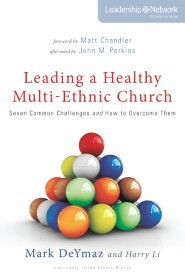 reconciliation and leaders of multi-ethnic ministry. 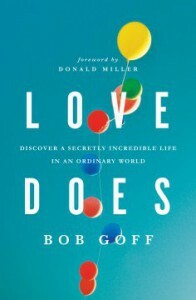 call to love has to be embodied in real actions. Love does, get it? I just had to push it, and was glad I did. You really ought to read it if you haven’t. Amazing! 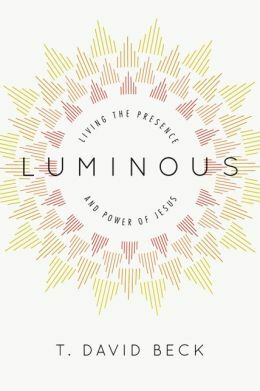 L uminous: Living the Presence And Power of Jesus T. David Beck (IVP/formatio) $16.00 This is one of my new favorite books on spiritual formation, and seemed to be a very useful book to hold up as an example of a resource that can equip us to be the kind of person who can “let our light shine” in a very hurting world. 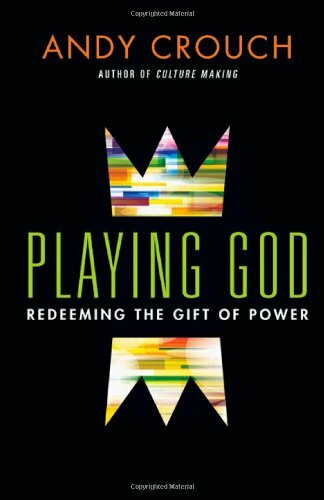 I am confident that many will be challenged, equipped, and blessed by this remarkably interesting book. 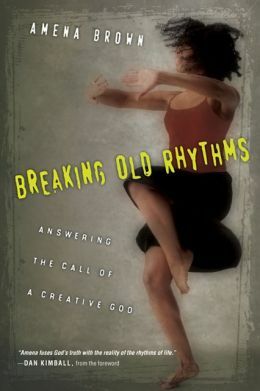 Lynn Baab says that this book itself is luminous; the Biblical scholar William Abraham (Perkins School of Theology) says it is “written with charm and simplicity” even as Mark Scandrette it is a “dangerously bright possibility..” This is about practicing the presence of God in a Kingdom-centered, missional manner. Some of the earth-shaking insights of this, by the way, came out of his mission trips to Haiti. you of it here, now. plug. It is that important. 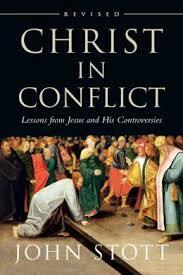 C hrist in Conflict: Lessons from Jesus and His Controversies John Stott (IVP) $16.00 This new, updated edition of this very old John Stott classic was just re-issued, and I couldn’t be happier. I had it at this conference to embolden those who may be resistant to conflict or who aren’t sure that we ought to press to hard towards serious claims about justice and inclusion. Yes, this reminds us that Jesus rocked the boat, caused some discomfort, and thereby points us to ways to be truthful, bold, even as we strive to be guided by grace. This is classic Stott, reasonable, creative, impeccably Biblical, and rooted in the core distinctives of historic Biblical faith. learn about the Bible in its own historic social context. Highly recommended. through Diversity.” There is a great study guide, too. 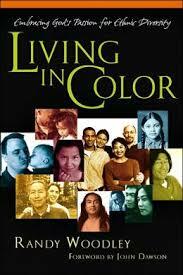 It is well worth having, upbeat, culturally aware and spiritually alive. Fantastic! 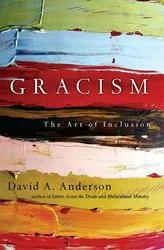 backgrounds.” How can we see gracism undo racism? Read this book and you’ll know how it can happen in your own place. 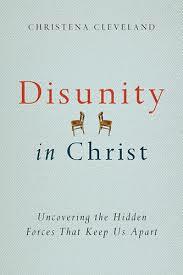 D isunity in Christ: Uncovering the Hidden Forces That Keep Us Apart Christena Cleveland (IVP) $16.00 I promoted this from up front, reading from the back cover, since it just came and I had only skimmed it quickly. 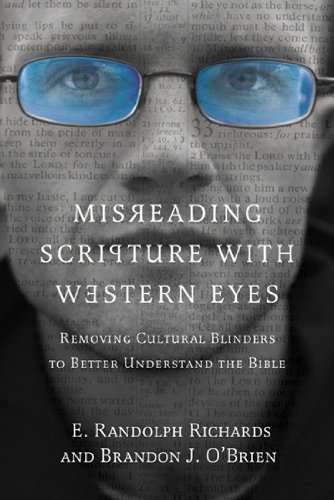 It is without a doubt on my list, as it claims to be an “eye opening book” which explores hidden reasons behind the many sorts of divisions in our local churches. The author is a trained social psychologist, a woman of color and an award-winning researchers. (And that smile on the cover of her beautiful picture on the back draws me right in. With a grin like that, she can surely handle hard and complex stiff with joy and a light touch.) She not only studies racial divisions, but explores class and gender, why little differences sometimes become big sources of painful conflict, and why “categorizing others is often automatic and helpful but can also have sinister side effects.” She looks at “groupthink” and choices of language which can significantly affect unity. 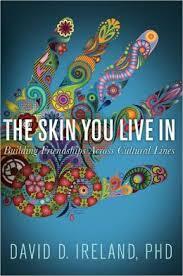 The book offers tools we need to understand how to overcome the hidden forces that divide us. Also, I’m impressed with the theological diversity of those chosen for blurbs on the back. Not every day does one sees Thabiti Anyabwile, Curtiss Paul DeYoung, Greg Boyd and somebody from McCormick Theological Seminary sharing in their rave reviews. 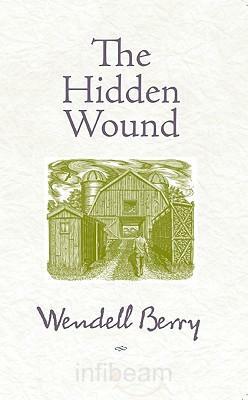 Here is a good interview with her from Vineyard USA that is well worth reading. or who is leading a multi-cultural team. 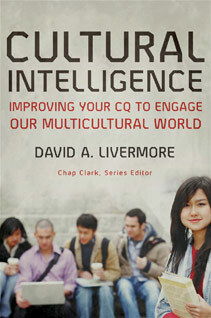 C ultural Intelligence: Improving Your CQ to Engage Our Multicultural World David Livermore (Baker) $22.99 We recommend this often, and had a big stack at the conference – it is ideal for beginners who want tons of great information on how to be more aware and effective in diverse cultural settings. Livermore has written professional books for business executives who travel to other cultures, he has done good books on cultural awareness for youth going on mission trips (Serving with Eyes Wide Open) and this, good for youth workers, campus ministers, or anyone wanting to form the attitudes of those they teach or lead. The rave reviews of this continue to come in, and we are happy to promote it as a must-have resource for effective ministry. 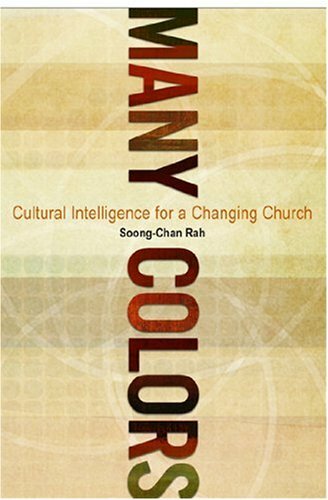 M any Colors: Cultural Intelligence for a Changing Church Soong-Chan Rah (Moody Press) $14.99 Some have thought this to be the very best book – good for beginners, but not simplistic or naïve – and it moves from broad cultural exegesis to helpful insights about how to proceed in exploring our own congregational or organizational cultures. 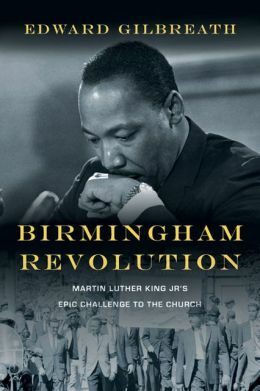 This is a framework that is profoundly Biblical, passionate, and aware of the complexities and pain of a racial history. Rah is a professor of church growth and evangelism at North Park Theological Seminary in Chicago and is an important scholar and activist. 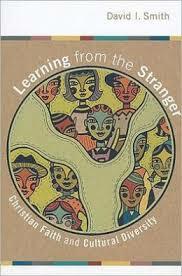 L earning from the Stranger: Christian Faith and Cultural Diversity David I. Smith (Eerdmans) $22.00 I am fond of David Smith as he has co-authored a great book on teaching foreign languages, he has done some good stuff on education, and he is a brings a profoundly Christian worldview to his thinking. This is a fascinating, advanced-level book on everything from postmodern scholarship to the elusive meaning of “culture” to the Biblical themes of hospitality and otherness. There are three chapters on Genesis, Luke, and Acts, and then brings together insight from Smith’s own experiences. Ideal, especially, for college students and leaders wanting to bring a Christian perspective to bear on multi-ethnic culture studies into the academy. hard-won insight about how to do it. face these. This book will help. This was previously published as Ethnic Blends. see that I had this book on the display table. And why wouldn’t we? 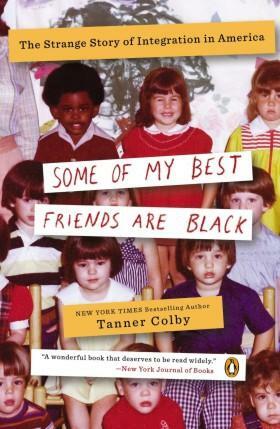 S ome Of My Best Friends Are Black: The Strange Story of Integration in America Tanner Colby (Penguin) $16.00 I pushed this from up front in part because Beth and I so enjoyed it and because it is so well written — part memoir, part social history — and because it seems so very wise. It is clear about the failures of the grand liberal projects of the last 40 years. With great journalistic verve, this fun book exposes the structural/systemic issues or racism, a story too many of us still don’t quite get, even as he looks at the unintended consequences of the policies designed to alleviate institutional racism. (He tells of the injustices and complex scenarios in Southern urban education, in real estate and housing in the Mid-West, and in professions of Madison Avenue in New York City.) I have reviewed this a time or two previously and remain convinced that you should get it; it is a great read! 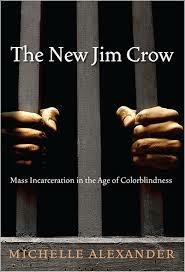 T he New Jim Crow: Mass Incarceration in the Age of Colorblindness Michelle Alexander (The New Press) $19.95 There is a reason is is considered “an instant classic” (Cornel West) and “devastating” by Forbes Magazine and “stunning” by Pultizer-Prize winning historian David Levering Lewis. To have the sinful inequities of how people of color are treated by police and in sentencing (in contrast to white people picked up and then indicted for the exact same crime) so documented makes this one of the most alarming books I have ever read. I assume you have heard of it. much to say. The book is dedicated to New City Fellowship in Chattanooga, which I first learned about from old friend, singer James Ward. Nice! yet, but it will be a joy to read, soon. on this remarkable, and now iconic event. 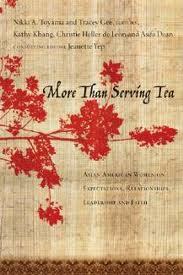 M ore Than Serving Tea: Asian American Women on Expectations, Relationships, Leadership and Faith Nikkie Toyama & Tracey Gee, Jeanette Yep, and others editors (IVP) $16.00 This is such a great resource, written by a variety of Asian American evangelical women with various concerns and reflections and advice — powerful stuff. The writing is really fascinating and at times quite poignant. A must. 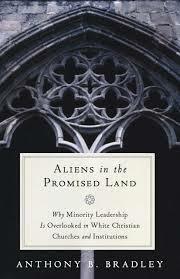 We have other resources by, for or on Asian American theology and ministry, too. 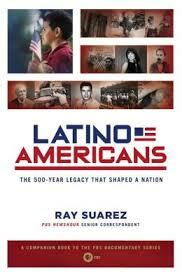 L atino Americans: The 500-Year Legacy That Shaped a Nation Ray Suarez (Penguin) $18.00 We were once honored to sit next to Suarez at a book signing gig at the National Press Club, and he was a gem. He is a senior correspondent at PBS Newshour and this new work is a companion to the PBS Documentary series by the same name. It looks tremendous. By the way, for the record, you should know of the best entry level book on this topic, one of the few that is solidly evangelical, Being Latino in Christ: Finding Wholeness in Your Ethnic Identity by our friend (IVP; $16.00.) Both of these are highly recommended, although we have many others by, for or about Latino ministry. 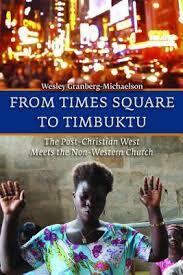 Fr om Times Square to Timbuktu: The Post-Christian West Meets the Non-Western Church Wesley Granberg-Michaelson (Eerdmans) $20.00 This is one of the handful of books that I will surely declare as one of the most important of 2013 — I regret not having been able to describe it more thoroughly here, yet. The author is an amazing, ecumenical leader and I hope you know his remarkable memoir, surprisingly germane to this topic, even, Unexpected Destinations: An Evangelical Pilgrimage to World Christianity (Eerdmans; $24.00.) In this new one, Wes takes the conversation about global Christianity a huge step further with a sustained look at how immigration and patterns of migration are bringing two-thirds world Christians and their unique theologies and church practices to our doorstep. Yes, the demographic center of gravity is for the first time in church history no longer Western. But the people and faith practices of those multi-ethic folk aren’t just a curiosity for those that study world missions, it is effecting the texture of most cities in America and nearly every denomination. This is a grand and great book for those that have eyes to see. And what a great title, with such a great cover! Wes’ old friend Jim Wallis writes, “This is the most important book anyone can read about the future of the church.” You should check it out.